In my cave, this summer morning, the fan is oscillating with a secretive white noise. But the windows are wide open. I choose the burgundy black pen and write exactly this most noteworthy experience. this consciousness is universal. Only the mind in all its sentient interpretation sees it otherwise. the light itself is never seen. Outside the picture window is a branch of leaves already turning yellow and it's only late July. The birds are being busy somewhere else. Humidity is high. Later when the sun shines through the window, I emphatically will feel it. when the cold white void feels the humid verdant holy heat, I shall recognize myself. love is the only antidote. but you can’t give it. and you can’t take it. you only see you are the antidote. I had heard the talk about the waters of Bermuda and believed it. They were colored with the kiss of turquoise and clear like mountain springs. But when the ship approached the eastern end, I saw the talk to be mere words and my belief a phantom of the operatic mind. thinking and experiential witnessing, rationale and love, the pointing finger and the bright full moon. 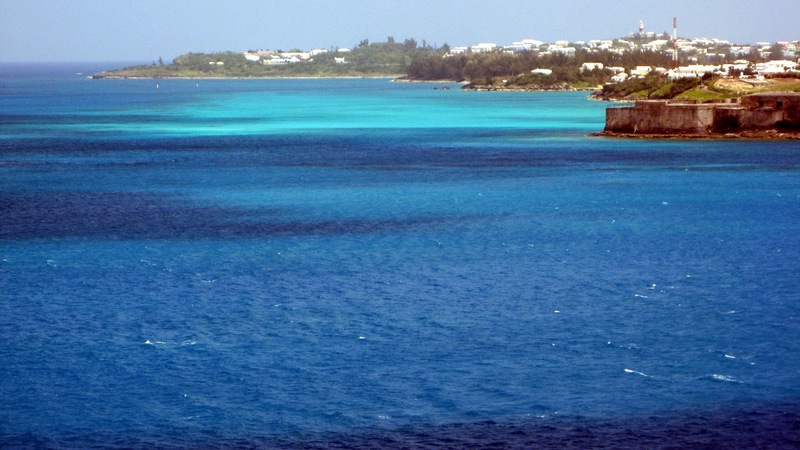 Here rise the waters of Bermuda, and yes, they are amazing. Between two massive igneous formations rests a turquoise cove with ocean waters warmed to a Bermuda summer glow. Ten thousand years of blue incessant waves have undercut the old caldera stone to thunder crashing with each coral tidal lightning show. beneath the surface of the sea. It's paradise revisited for me. That's when I saw the angel fish, or what I like to call an angel fish, although a little later on I'm told it's just an everyday Bermuda sea chub. You see they change their colors like a mood ring, silver being their default, and black their warlike tint. But white is their harmonious and peaceable embodiment. like this angel fish of my imagination, focusing a world of waves into a sea of self-awareness. Bermuda is the truth and even someone sixty-something is illuminated in its timeless youth.